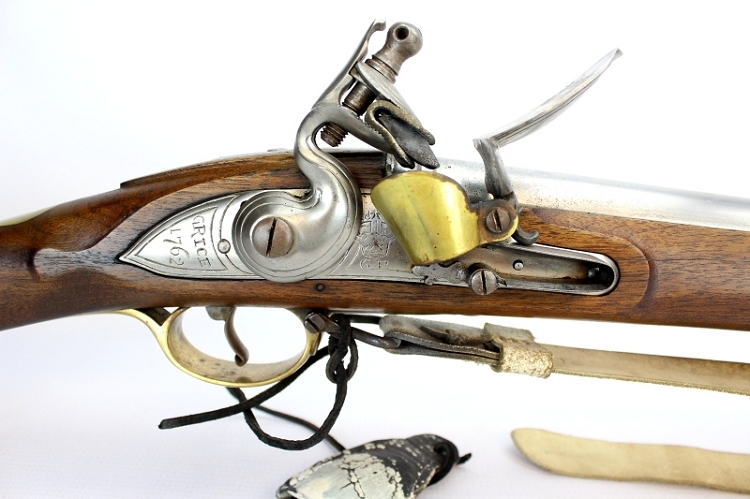 This Pedersoli Brown Bess is in excellent used condition. The stock has only one or two minor handling marks, with a small cosmetic crack near the front of the lock plate. There is no rust or pitting anywhere. The lock throws a great spark and the bore is very good with no rust or pitting. Included with this musket is a buff leather sling; flash guard and hammer stall. This musket would be a great candidate for a defarb or a conversion to a Committee of Safety musket; simply give us a call or send us an email for more details.